Map of the Hunter Valley - Hunter Valley Map. For more information about the Australian wine regions and our many wines, see here Australia Wine Regions - Australian Wines and Wineries. Hunter Valley Wine Tasting Tours. Only a two hour drive from Sydney is the Hunter Valley - famous as Australia’s oldest wine growing region. Late January to late March is the harvest season, but there are things to do the year round and plenty of cellar doors to visit for tastings, even buy a case or two. See more about this wine growing region in Australia Hunter Valley tourist information NSW. The Cessnock Information Centre is an excellent place to start, it provides information for the many wineries operating here and can arrange bookings for such diverse activities available in the Hunter as ballooning, tours and horse riding. Cessnock Information Centre: Phone (02) 4990 4477. The many varieties grown here include superb Semillon, Chardonnay, Cabernet Sauvignon and Shiraz. Wyndham Estate, Tyrrell’s Vineyards, Rosemount Estate, Peppers Creek, Lindemans, Lake’s Folly and Farrell’s Wines are amongst the many esteemed wineries operating here. Most of the cellar door tastings are free, even large groups can be accommodated if you book in advance. There are tours available for the Rothbury Estate, McWilliams Mt Pleasant Estate and Tyrells, showing you some of the finer points of wine making. Connected by the Hunter River, there are two distinct regions, the Lower and the Upper Hunter. In the lower Hunter area there is also the registered wine sub-region of Broke Fordwich and the newer Polkobin. The Hunter has many other things to offer such as horseriding and ballooning, and of course gourmet restaurants befitting such a renowned wine area. More about the Hunter Valley NSW. With the many winery tours available from Sydney, you don’t even have to drive if you don’t want to... so you can savour them for yourself without having to worry about getting home safely. There are a number of wineries operating around the periphery of Sydney as well. Tours are available for these and the Hunter from Sydney at Circular Quay and places like Newcastle and Gosford. See the Weather for Today and Forecasts Hunter Valley Weather. Combined with the many great restaurants that the Hunter region has to offer, allows you to sample the fresh seafood that Australia is famous for. There are many other delicious cuisines made from locally grown produce, from Italian to Australian Noveau to Japanese. Some of these restaurants have extensive wine lists spanning many years. At the same time, the Aussie tradition of B.Y.O. (bring your own - wine) gives you another chance to enjoy your choices from the cellar door sales available from the many Hunter Valley wineries. See the Hunter Valley Map showing towns and wine regions Hunter Valley Map. Thought about working holiday in Australia? - Work in Australia. If you wish to stay for the weekend, its better to book your accommodation in advance as the Hunter is very popular with Sydneysiders. There is however, accommodation available from the budget to the luxurious. 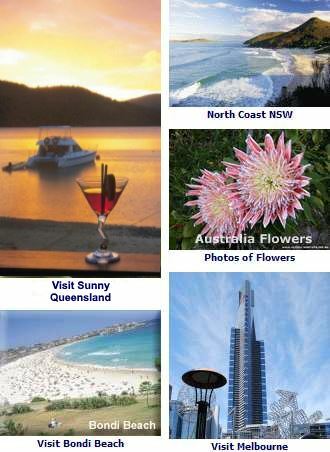 Newcastle is another option for hotels, since it is so close to the Hunter Valley NSW, as is Gosford. 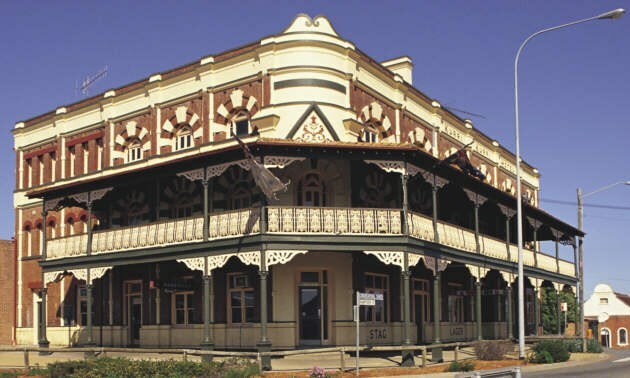 There is a wide variety of pub stays, lodges and motels in the smaller towns dotted across the Hunter. Of course, you could stay in Sydney as well, as the drive is only about 1.5 hours.